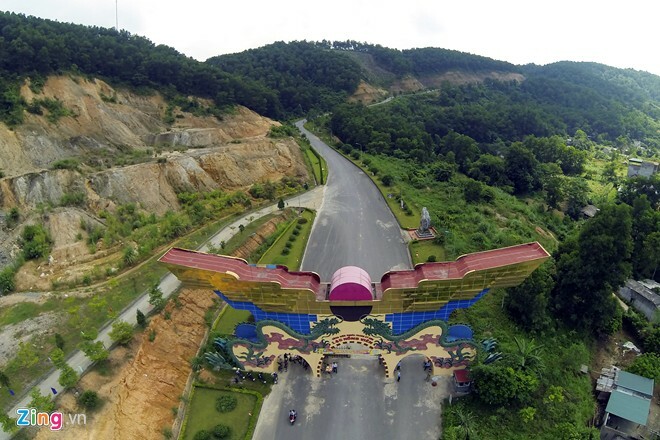 VietNamNet Bridge – Lac Hong Vien, the largest cemetery in Vietnam and Southeast Asia, is located on nine hills, with nine natural streams. It looks like a giant swimming turtle. 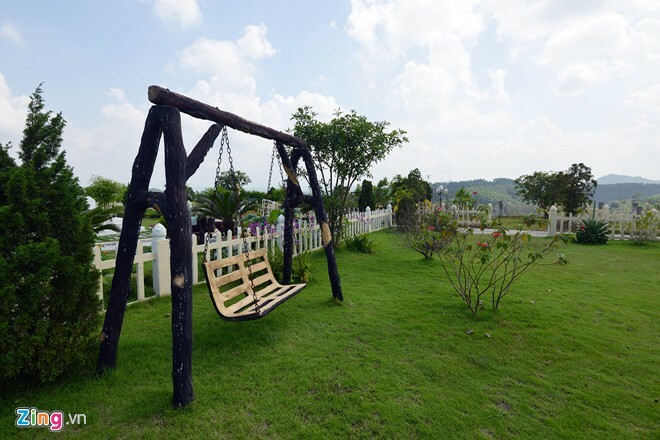 The park cemetery is very near Highway 6, about 50 km from the center of Hanoi and 20km from Hoa Binh City. 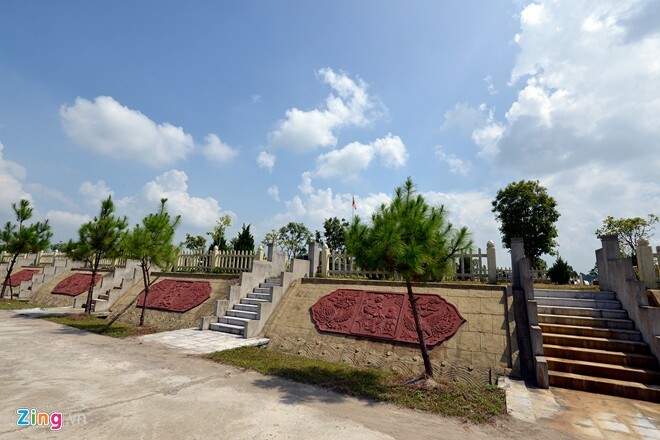 This cemetery covers nine hills of nearly 100 hectares in Ky Son district, Hoa Binh province. 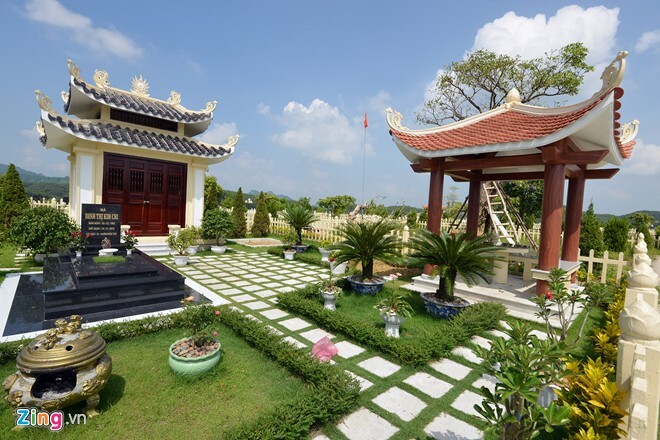 The cemetery was built on a site that was carefully selected by Vietnamese and Chinese scientists, geographers and feng shui experts. The nine hills shape a swimming giant turtle with nine natural springs symbolizing a person's life when they return to the other world. 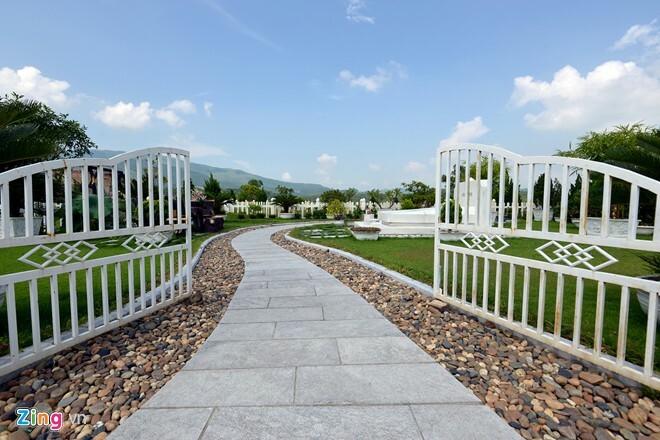 The graves are arranged based on feng shui studies. 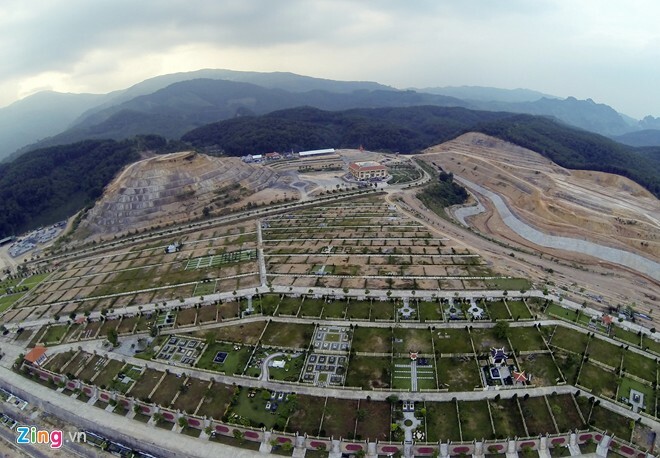 Each grave is sold for VND15 million ($750) or customers can buy one meter of land for VND8-9 million ($400-450). The natural springs around the cemeteries are believed to create good air for the development of living things. In the photo are "villa" tombs. 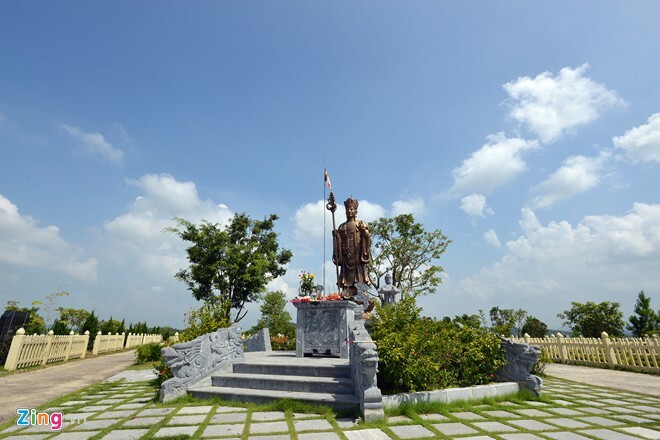 Although the cemetery has not been inaugurated, more than 400 people were buried in Lac Hong Vien and approximately 60-70% of the land has been sold. 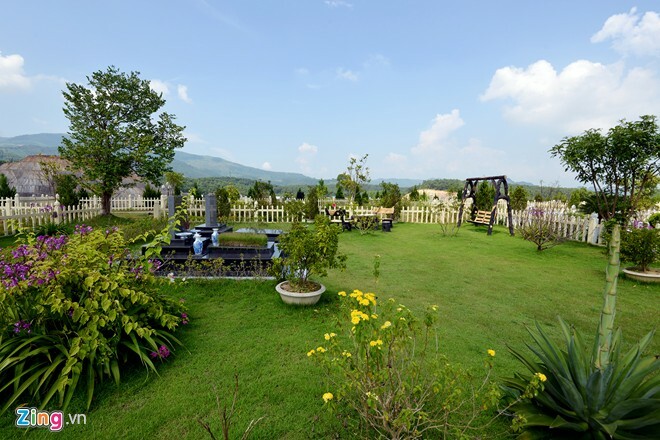 There are single graves or family graves, arranged on the six hills called Metal, Wood, Water, Fire, Earth and Buddha Statue. 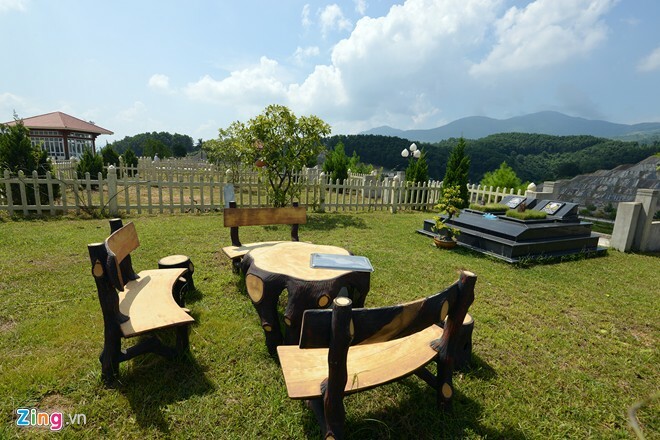 A family grave like this is priced hundreds of thousands of USD. Lac Hong Vien offers all services that other cemeteries have, such as cleaning tombs, taking care of ornamental trees, burning incense on the full moon day and the first day of every lunar month and a unique service, online worship. Entrance to the villa tombs are very convenient. The cemetery also provides a water burying service, which uses water to accelerate the decomposition process. 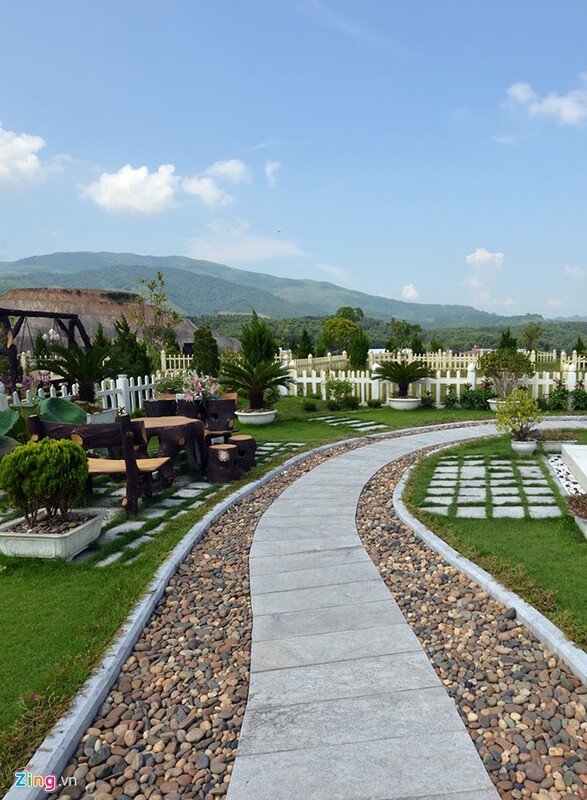 “Compared with cremation, the environmental impact is only 30%. Moreover the ash is white and smooth. Cremation is hot, but water burial is not. 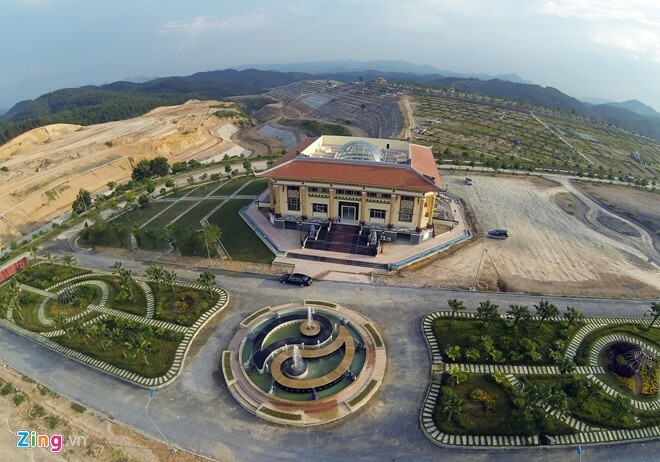 This British technology is only used in several states in the US, the UK and Germany," said Mr. Tran Tuan Anh, deputy director of the cemetery investor’s firm.